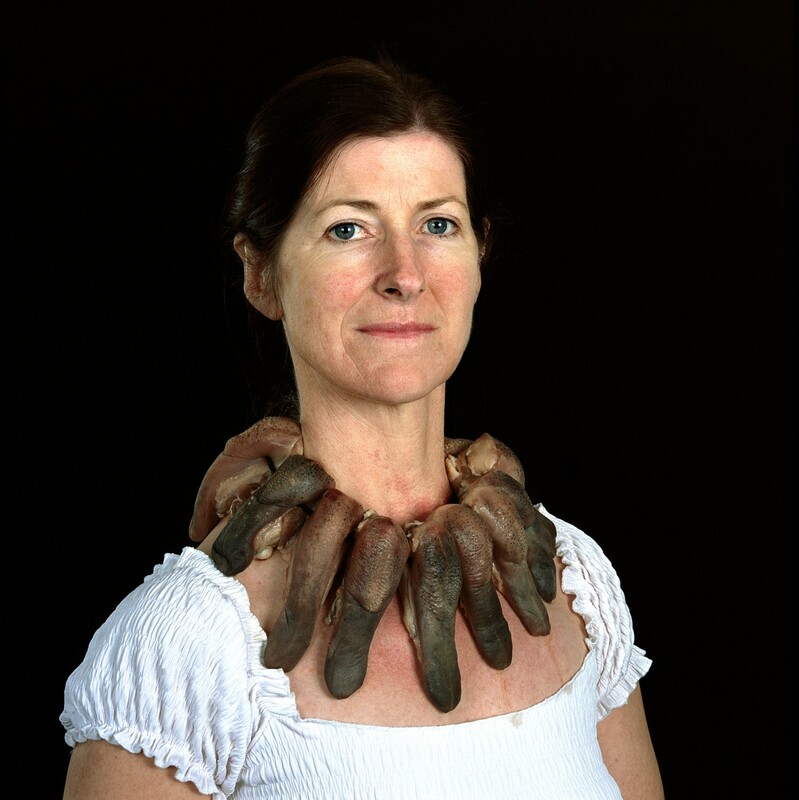 Spanning painting, sculpture, photography, animation and video, the work presented in Alice Maher’s mid-career retrospective exists in a state of metamorphosis; a state of “becoming.” The show forgoes a chronological layout in favour of rooms that combine different media and time periods, prompting the viewer to uncover the preoccupations of the artist. Playfully renouncing divisions of high and low art, kitsch figurines are cast in bronze (a material typically reserved for monumental sculpture), drawings of humble subjects are hung at a height suggestive of a classical frieze, decorative illustration is not dismissed but celebrated and the unassuming objet trouvé becomes the uncanny source of new meaning. 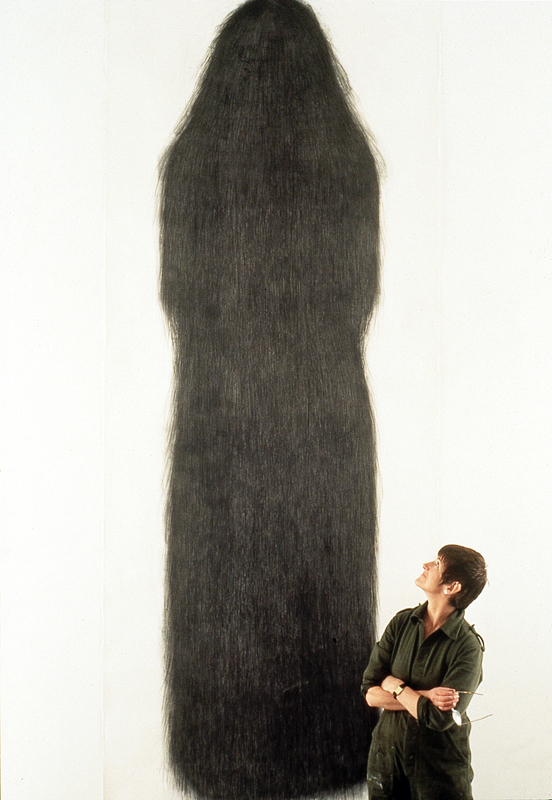 In Ombres (1997), giant figures shrouded in hair simultaneously call to mind Christianity’s Mary Magdalene as well as The Adams Family’s Cousin Itt and, in one element of Familiar I (1994), flax reminiscent of Rapunzel’s hair cascades from the gallery wall and trails onto the floor. 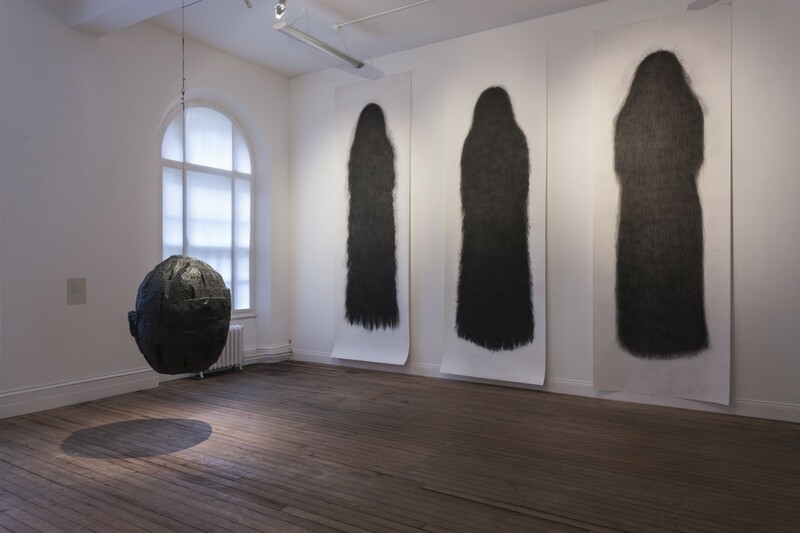 The artist’s focus on hair is laden with reference to the female, and its recurring presence is only one instance of the feminist undercurrent that runs throughout Maher’s oeuvre. 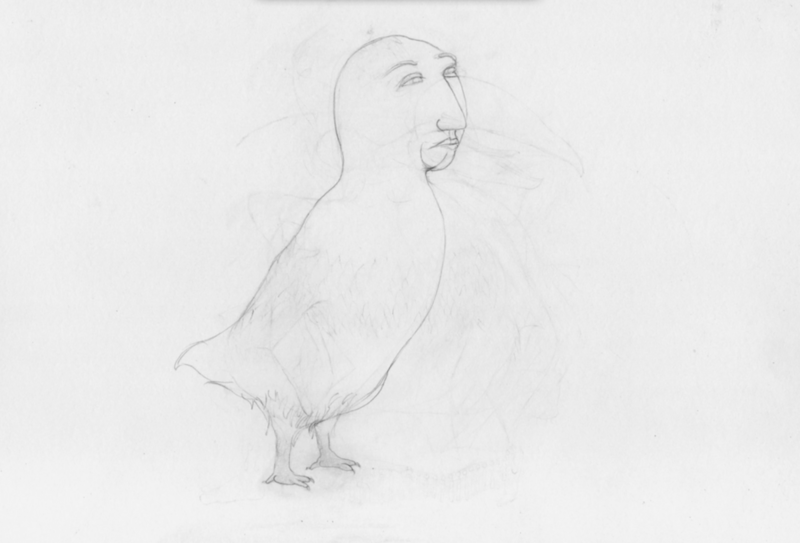 The dual video animation Flora (2009) showcases the artist’s distinctive drawing style, which is rooted in the mythic and medieval. 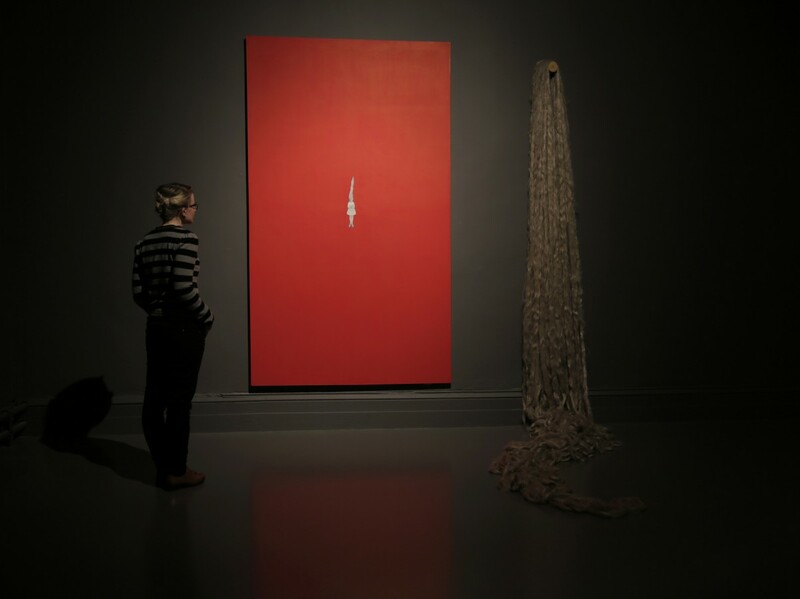 Maher’s work engages both physically and psychologically. Like the thorns that appear in choice works, her art seems to prick our unconscious, sting our sensibility and remain lodged in our thoughts. Becoming confirms Maher’s position as a singular artist of immense intrigue.